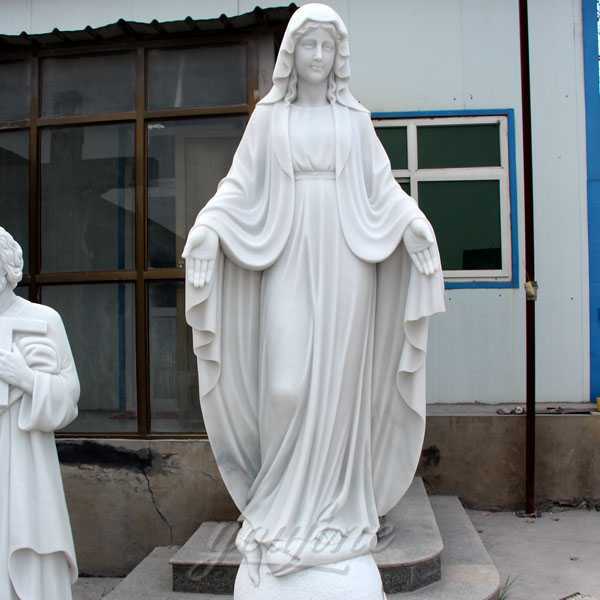 Outdoor white marble mother Mary statues for church decor standing 180 cm(71’’or 5.9’) with base, are made of pure white Grade A marble, standing 180 cm(71’’or 5.9’), which is an excellent decoration for the interior church or garden.We also offer customized design,size and material,contact us now for more details! Size: 160cm or Customized Size. 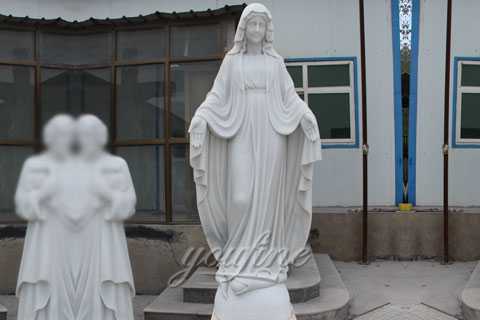 Outdoor white marble mother Mary statues for church decor standing 180cm (71’’or 5.9’) with base, are made of pure white Grade A marble, standing 180 cm(71’’or 5.9’), which is an excellent decoration for the interior church or garden.We also offer customized design,size and material,contact us now for more details! 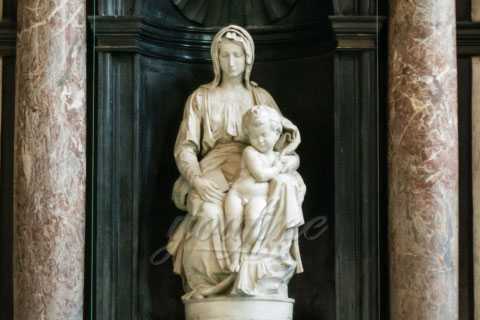 The Virgin Mary is a respected subject and a subject of many artistic works. 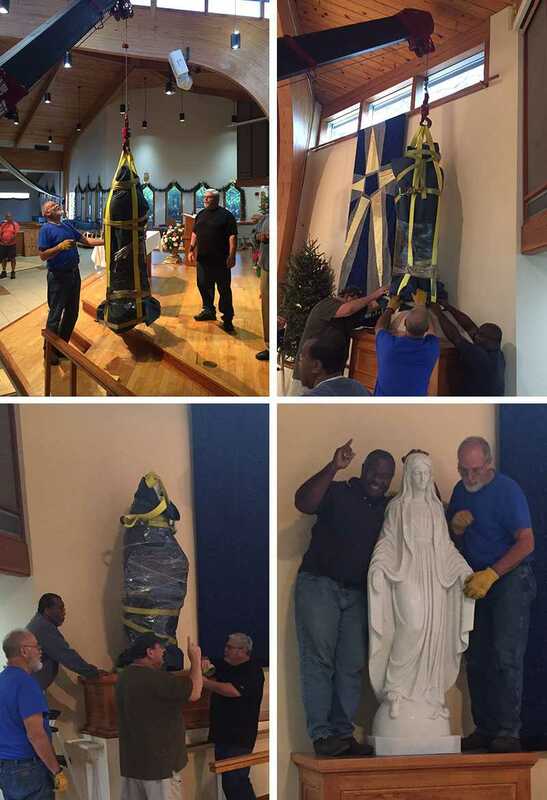 Perhaps you are looking for our goddess of peace, the lady of Lourdes, perhaps this is our melon goddess? There are many beautiful Mary Works of art to choose from, depicted by some of the greatest artists in the world. 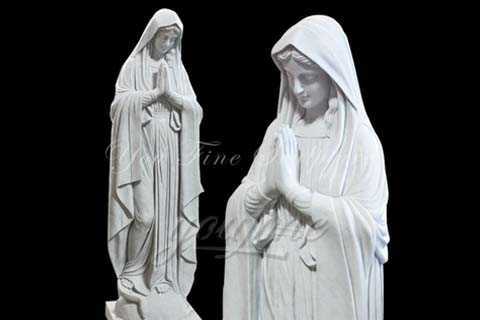 The feedback of our lady of virgin mary statue in church from our African friend ! 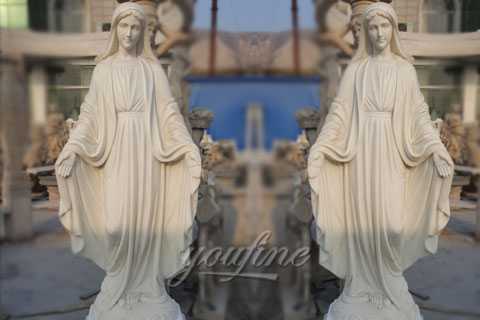 We can see the religious image of Our Lady in the print of our Mary’s art collection, ladies ‘ paintings and sculptures.Style and skill may vary, but the theme is always Our lady of Mary. 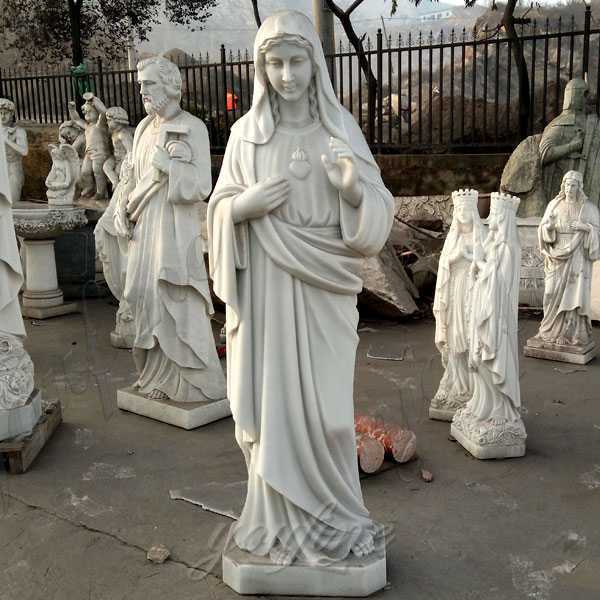 The Catholic Church, also known as the Roman Catholic Association, is the world’s largest Christian congregation with over 1.29 billion members worldwide. As one of the oldest religious institutions in the world, it played a prominent role in the history and development of the West under the leadership of the pope, and summed up the teachings of the church in the church. Its central government is located in the Italian-Roman enclave of Citta Del Vaticano. 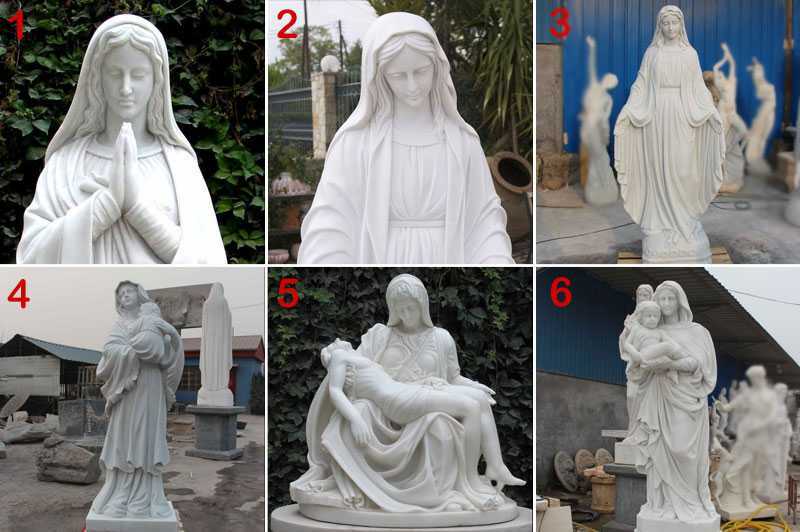 Having focusing on religious statue,especially catholic statue,more than 30 years,deeply know the culture of catholic statue,and so our master could make the master piece of catholic statue,so if you are interested in our lady of Mary statue,please contact with us right away,we will have a happy cooperation ! We are the best choice of you !